Gymnasts are amongst the strongest people on earth. Power lifters and olympic lifters are strong, but none of them have the some level of control of their bodies that gymnasts have. Power lifters are good at picking up and throwing objects, so of course you can see how that would be a beneficial skill to have in the cage or on the mats. But you could argue that gymnasts have a type of strength that is far more applicable to cage fighters and grapplers alike. 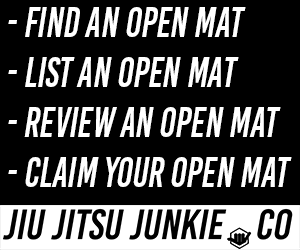 BJJ, for example, is all about moving your own body and movement. Having absolute control over your own body and how it moves, how it flows, etc. Whilst the sudden, explosive power of a power lifter might be good when you need to suddenly overpower your opponent and force him on to the mat, the gymnast kind of strength is something that is in work throughout the rest of the fight/match. Top fighters such as Georges St. Pierre have been incorporating gymnastic work into his training schedule for a long time now. GSP recognised the benefit that gymnastics could give to his body and how that would give him yet another edge when he’s facing off against an opponent in a high-stakes title fight. Just think about that. GSP trains hard all day, everyday. He has limited time and limited energy. Time and energy that could be used in extra boxing classes or wrestling classes. But instead, he chooses to take that energy and use it in gymnastics. Well, if GSP thinks its important, then it must be. Now, you don’t have to run out and join the local gymnastics class. You can, and it’ll probably be worthwhile, but you don’t have to. Instead of spending hours of your times and tons of money on expensive gymnastic lessons, you can simply buy a pair of gymnastic rings and install them in your own home. These rings will provide you with an excellent workout that will somewhat mimic the training you would do in a gymnastics class. Emerge Gymnastic rings are heavy duty solid wood nine-inch rings, complimented with military grade straps. With strap webbing that is 1.5 inches wide and reinforced with cross stitching, this set is designed to provide you with maximum strength and durability. The smooth wooden rings have slight grooves embedded into them in order to give you a better grip. These rings are ideal for all user levels, including children. The max weight capacity of the straps is 800 pounds. Emerge rings provide the ultimate in usability, being easy to set up, adjust and dismantle. To make things fail proof, your purchase comes with a free Set Up and Getting Started guide. You also get a 100% money back guarantee. Titan Fitness use heavy duty, solid wood rings on this product to give them even more sturdiness and durability. The wood has been sanded down and smoothed out so they provide you with excellent grip whilst still being smooth and comfortable enough on your hands. No splinters! The same excellent craftsmanship and excellent eye for detail that created the rings has also gone into to the straps. The straps are exceptionally strong and can hold weights of up 600 pounds, so almost anyone can give them a go. The diameter of the rings are also slightly thicker than usual which means you get an added grip workout simultaneously. 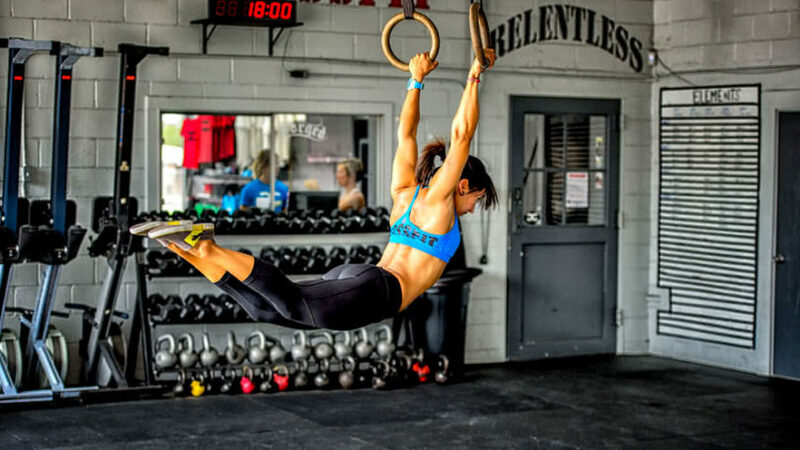 This excellent package from Reehut include 2 gymnastic rings and straps, adjusting buckles and a 16 page eBook that shows you how to get started and how to workout with the rings as effectively, efficiently and optimally as possible. A great set for a person who’s never even touched a set before. They use ABS plastic in their rings which keeps the rings nice and strong and stops your hands from slipping on sweat. It’s a great feature as the last thing you want is for your hands to give out and slip out before you’ve finished your set properly. This can even end in seriously if you fall awkwardly. These rings are quick and easy to set-up and it’s simple and straightforward to adjust the heights of the straps once everything is up. This is a great set of rings to get if you like it when companies chuck in a freebie. Elite Sportz have included a free skipping rope in this set. This is great for warming up your shoulders and small, supporting muscles, as well as your cardiovascular system before attempting rough exercises like gymnastic rings pull-ups, etc. Using gymnastic rings for the first time can be understandably daunting. They’re a lot harder than they look and you need to learn the correct technique to even get started. Luckily, Elite Sportz have also included access to instructional video material so you can make sure you’re doing everything exactly right. This kind of information is invaluable when you’re starting out. If for some reason you don’t quite take to gymnastic ring training, then you can contact Elite Sportz for 100% money back. You can purchase these rings in both wood and steel, depending on your preference in both feel and aesthetics. The steel is black and has a nice sleek and smooth look. The wooden rings have a more traditional feel whilst still giving your hands a nice, smooth, anti-slip grip. Like all the sets we have showcased on our list, these rings are easy to set up and to set up free. No messing around, spending hours just trying to get these things up. Again, like the others, once they’re set up you can adjust them pain-free. Evolutionize have gone the extra mile and had their rings strength tested by a third party. That way, you know that the rings you’re getting are the absolute strongest and sturdiest pair your money can be. These rings can handle 1200 pounds in weight so they’re bound to last a lifetime. Pull-ups and chin-ups are great and should have a safe home in everybody’s workout routine. If you can already crack out set after set of pull-ups and you can’t get a good workout from chin-ups unless you use added weight, then try a set on gymnastics rings. You will find yourself having to use muscles that you didn’t even know you have just to get out one. Even one muscle-up might be too much for you in the beginning. That’s how you know you’ll be getting a killer workout.